Have you ever been lied to? Cheated on? Manipulated? I'm sure you have, and I have as well. I'd like to equip you with the knowledge and tools to experience great relationships and life at it's greatest. I'm going to help you solve issues in your life, love and relationships. I've traveled the world and collected data and done research to bring you the solutions to some of the most frequently asked questions about relationships and life. Can guys be real and honest? Can people truly be content with one person? I answer this and more in the book. While serving in my country's United States Navy since 1999, and working in the oil and gas industry for several years, I've traveled the world asking questions you would ask of people from many different cultures about how to be the best spouse and what people want from a potential partner. I'm dedicated to helping you build strong relationships so you can have healthy, meaningful interactions and excel in every area of life. 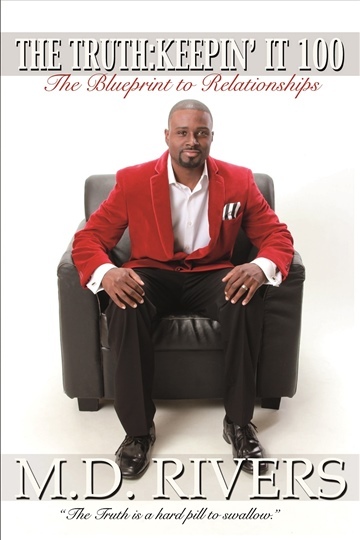 Married with 3 kids, from Houston, Texas, and I currently am also finishing up my next book in the series, The 7 Building Blocks of Love set to release soon. I also have a motivational book I'll be releasing as well as other projects and courses. I've put all that research together to create an online course called the Relationship Bootcamp Signature Course. You get the book free with the course. I'm here to help you and I hope you'll allow me to be your guide.